We’re regularly told to watch the salt level in our diets. Our Head Vet Sean often gets asked if salt is something we need to be wary of in our dogs’ diets too. So, is salt bad for dogs? In general, salt isn’t bad for dogs – in fact, it’s an essential part of their diet. The trick is to manage the amount of salt your dog gets, as too much salt in dog food can be harmful (as can too little). Dogs with certain health conditions may need a low salt dog food, and we’d always recommend you avoid giving your dog overly salty foods like crisps and savoury biscuits. Salt, or sodium chloride, is a core ingredient in dog nutrition: our dogs need it to keep their cells working properly. A healthy amount of sodium in dog food is between 0.25g/100g and 1.5g/100g. At these healthy levels, salt helps maintain cellular functions like fluid balance, acid-base balance and nerve signal transmission. Your dog needs the ‘chloride’ in sodium chloride to produce the stomach’s hydrochloric acid, which helps with digestion. Salt is also used as a natural preservative, and has been for thousands of years – it’s very good at drying food out and preventing spoilage. So among all these good things about salt, what’s the fuss about? Can dogs eat too much salt? With salt, as with so much of dog nutrition, it’s a case of moderation. Too much salt in dog food can cause problems for your dog, including dehydration and more serious conditions if they consistently eat too much. Unfortunately, salt is delicious to dogs, so it’s best not to give them a taste for salty snacks – that way, you won’t have to deny it to them later. Related blog: can my dog eat human snacks? 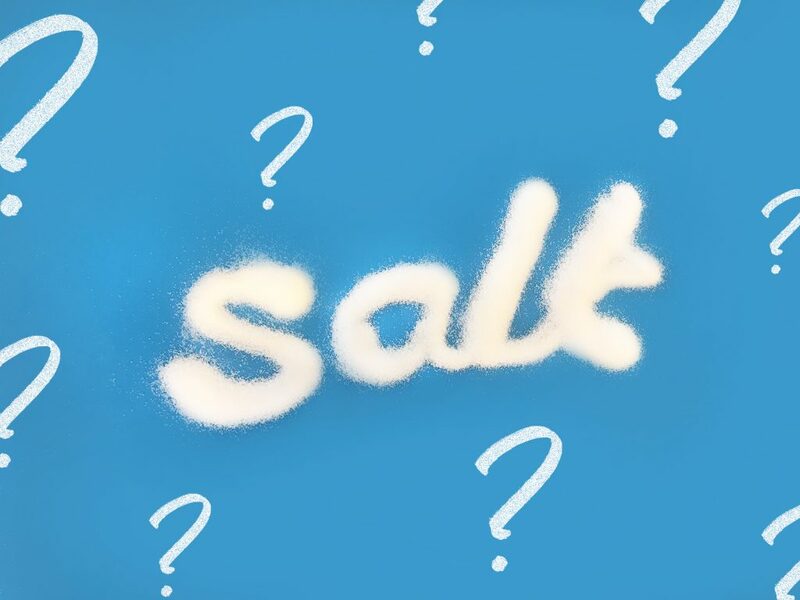 Which foods are too salty for dogs? Should I give my dog a low salt diet? At tails.com, we always take your dog’s health conditions into account as part of our nutritional consultation – keep your dog’s profile up to date, or request a low salt diet, and we’ll do the rest. It’s important to look at all the food your dog gets, so check the salt content of any treats you use, and be really careful before sharing any human food with your dog. If your dog needs low salt dog food, or if you have any more questions about how much salt is healthy for dogs, get in touch. Our veterinary and nutritionist team is here to help – send us an email at hello@tails.com. To w meat and vegetable diet I would recommend adding 1/3 of meal be dry kibbles. This provides many of the vitamins and minerals dogs require. And help keep s dog’s teeth and gums clean.